The NZL men’s relay team of Tim Robertson, Matt Ogden and Gene Beveridge improved 8 places from last year in finishing 17th in a tight WOC relay in Turaida. 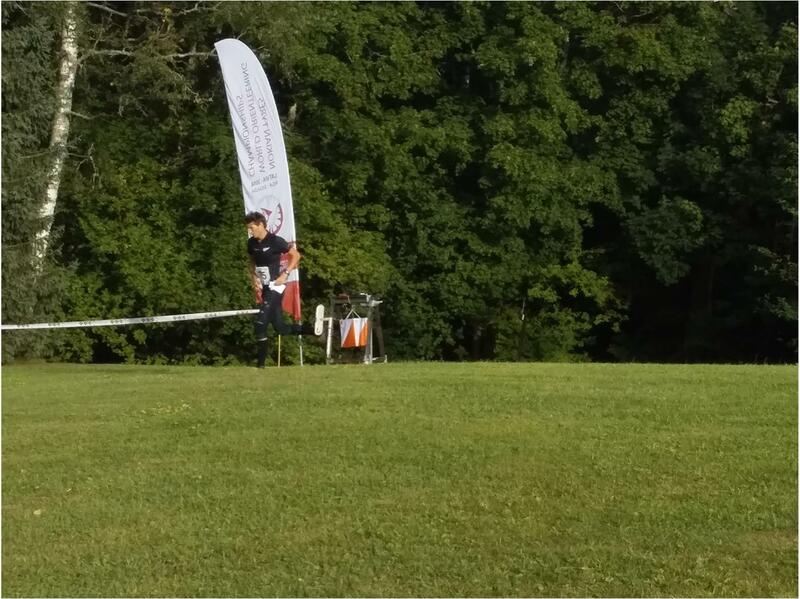 Tim continued his excellent form and was 3rd through the first radio control before the week’s races started to catch up on him on the steep hills (305 m climb for the men) and small mistakes crept in. Nevertheless Tim hung on well to be less than 3 minutes down at the first changeover. Matt, determined to make amends for his problems on Tuesday in the middle distance, ran an equally strong race reaching as high as 14th at one stage before slipping back slightly, with NZL now just less than 6 minutes down on leaders Norway. Gene, running his first race of the week, and still suffering the after effects of the bug that had hit him last week, found it tough going but gamely hung on to bring the team home exactly 14 minutes behind the winners. The men’s race was in fact incredibly tight.with no fewer than 8 teams finishing within a minute of each other at the top of the field. In the end victory went to Norway when Magne Daehli cjose a much straighter route choice than the chasing pack on the long leg back towards the arena. This was just enough to give him a 4 second margin over Switzerland for whom Matthias Kyburz chased hard to the very end. The loudest cheers, however, came for Rudolfs Zernis of the host nation Latvia, who was head to head with Daehli for the first three quarters of the last leg before fading to 8th. Surprise packages in the end were Austria who, in finishing 4th, just missed out on their first ever relay medal. neither Sweden nor Finland made the podium. The big screen shows Magne Daehli going high while the rest go low. 1. Norway 1:47:26, 2. Switzerland 1:47:30, 3. France 1:47:36, 4. Austria 1:47:43, 5. Czech Republic 1:48:02, 6. Great Britain 1:48:03, 17. New Zealand 2:01:26, 18. Australia 2:03:41. Things were not as good for the New Zealand women’s team of Laura Robertson, Imogene Scott and Lizzie Ingham. 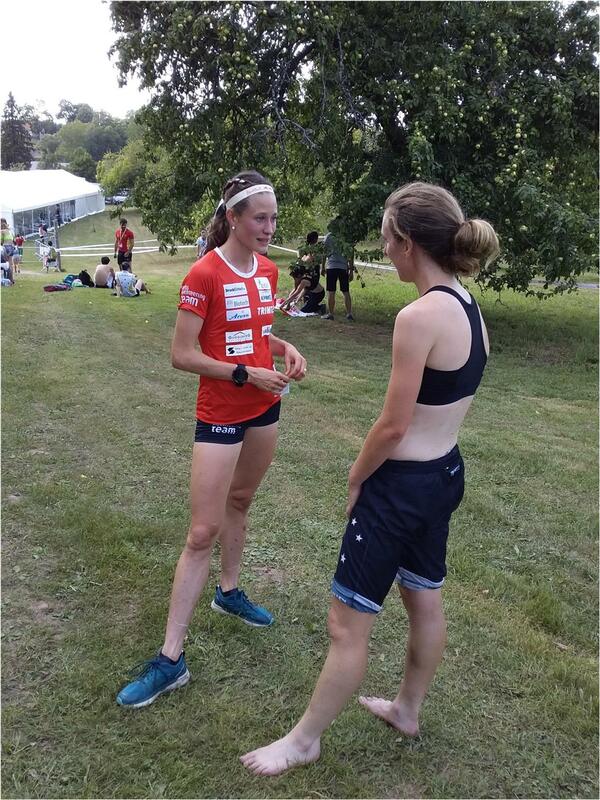 Laura, feeling under the weather since the middle distance, found the going.tough from the very beginning and came in well off the pace set by Switzerland. Imogene on leg 2 started confidently but then made a substantial mistake after the arena run-through, dropping back into 2nd place and witht he team now more than 27 minutes off the pace. Lizzie, left with the choice of chasing hard or conserving energy for the long distance on Saturday, went somewhere in between but still managed topick up 3 places meaning that the women improved 2 spots on 2017. At the front the final leg, like the sprint relay on Sunday, came down to a battle between Sweden and Switzerland in the form of Tove Alexandersson and Judith Wyder. Tove led leaving the control at the end of th elong leg, but a moments hesitation at the next and Judith was in front and acrving out a Swiss victory by 15s. Russia, who had led early on, came in 3rd. 1.Switzerland 1:45:03, 2. 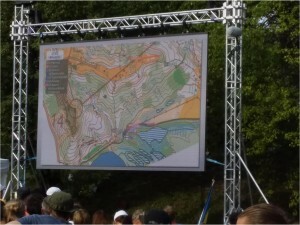 Sweden 1:45:18, 3. Russia 1:47:20, 4. Norway 1:50:09, 5. Finland 1:54:56, 6. Denmark 1:55:09, 18. Australia 2:18:35, 19. New Zealand 2:22:02. 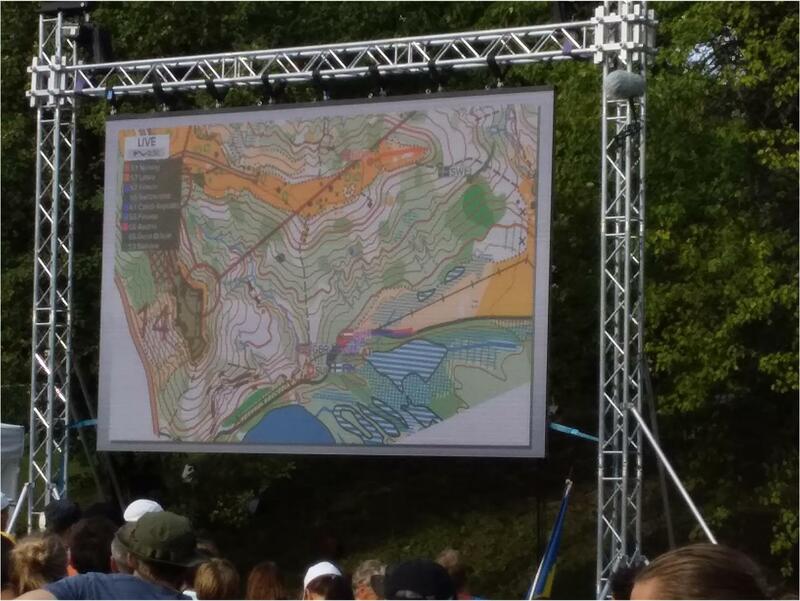 With WOC 2019 beg forest only it is also worth bearing in mind the qualification system for runners. Next year this will apply only to the long distance – all nations will have 3 entrants in the middle with heats returning for the first time since 2013. To accommodate this long distance points from last year and from Saturday count double. This means that Nick hann’s dsq in the long distance in Estonia has counted heavily against NZL putting, pre-relay, the men into a dog fight with Italy, Hungary, Germany and Spain to avoid relegation from Group 2 to group 3. Although Saturday may still be crucial, the relay result ahead of Hungary, Italy and Germany has made the standings at the bottom of Group 2: AUS 207, ESP 205, NZL 182, HUN 175, GER 169, ITA 160 – witht he bottom two to go down. One thing in NZL’s favour anyway is that with Oceania 2019 being after WOC, Gene Beveridge, as the last Oceania long distance champion gets a free entry to Norway2019. After the somewhat uninspiring relay the NZL women lie 3rd bottom of Group 2 with Canada and Bulgaria beneath them. As Canada have no women in the long distance, barring disatsers the 53 point margin of the Bulgarians ought to be enough. Even then the next 3 teams above NZL are all very close. Bottom of Gup 2 for the women: UKR 268, ESP 260, HUN 247, POL 246, NZL 242, BUL 189, CAN 141.